The Wharton School of the University of Pennsylvania (/ˈhwɔːrtən/ WHAWR-tən; also known as Wharton Business School, The Wharton School or simply Wharton) is the business school of the University of Pennsylvania, a private Ivy League university in Philadelphia, Pennsylvania. Established in 1881 through a donation from Joseph Wharton, the Wharton School is the world's oldest collegiate school of business. Furthermore, Wharton is the business school that has produced the highest number of billionaires in the US. The Wharton School awards Bachelor of Science in Economics degrees at the undergraduate level and Master of Business Administration degrees at the postgraduate level, both of which require the selection of a major. Wharton also offers a doctoral program and houses, or co-sponsors, several diploma programs either alone or in conjunction with the other schools at the university. Wharton's MBA program is ranked No. 1 in the United States according to Forbes and No. 1 in the United States according to the 2020 U.S. News & World Report ranking. Meanwhile, Wharton's MBA for Executives and undergraduate programs are also ranked No. 2 and No. 1, respectively, in the United States by the same publications. According to US News, MBA graduates of Wharton earn an average $159,815 first year base pay not including bonuses, the highest at leading schools. Wharton's MBA program is tied for the highest in the United States average GMAT score of 732 (97th percentile) for its entering class. According to another publication, Wharton produces the 3rd most CEOs of the 100 top companies on the Fortune 500 list, behind Northwestern (Kellogg) and Harvard. In general, Wharton has over 95,000 alumni in 153 countries, with notable figures such as Donald Trump, Jeremy Rifkin, Elon Musk, Warren Buffett, Sundar Pichai, Nassim Nicholas Taleb, Aditya Mittal, Steven A. Cohen, Jeff Weiner, Anil Ambani, John Sculley, Walter Annenberg, Leonard Lauder, Laurence Tisch, Michael Moritz, Ruth Porat, Kunal Bahl, and William Wrigley Jr. II. Its alumni include the CEOs of Google, LinkedIn, The Blackstone Group, CBS, General Electric, Boeing, Pfizer, Comcast, Oracle, DHL, UPS, Pepsi, Time, Inc, BlackRock, Johnson & Johnson, UBS AG, Wrigley Company, and Tesco. Joseph Wharton, a native Philadelphian, was a leader in industrial metallurgy who built his fortune through the American Nickel Company and Bethlehem Steel Corporation. As Wharton's business grew, he recognized that business knowledge in the United States was only taught through an apprenticeship system, and such a system was not viable for creating a wider economy during the Second Industrial Revolution. After two years of planning, Wharton in 1881 founded the Wharton School of Finance and Economy through a $100,000 initial pledge, making it the first business school established in the United States. ESCP Europe, established in 1819, and a few other business schools were established in Europe prior to Wharton's founding. The school was meant to train future leaders to conduct corporations and public organizations in a rapidly evolving industrial era. Wharton was quoted as saying that the school was meant to "instill a sense of the coming strife [in business life]: of the immense swings upward or downward that await the competent or the incompetent soldier in this modern strife". From the founding of the school, he defined that its goal was "to provide for young men special means of training and of correct instruction in the knowledge and in the arts of modern Finance and Economy, both public and private, in order that, being well informed and free from delusions upon these important subjects, they may either serve the community skillfully as well as faithfully in offices of trust, or, remaining in private life, may prudently manage their own affairs and aid in maintaining sound financial morality: in short, to establish means for imparting a liberal education in all matters concerning Finance and Economy". The school was renamed the Wharton School of Finance and Commerce, in 1902, and formally changed its name to simply, Wharton School, in 1972. Early on, the Wharton School faculty was tightly connected to an influential group of businessmen, bankers and lawyers that made up the larger Philadelphia School of Political Economy. The faculty incorporated social sciences into the Wharton curriculum, as the field of business was still under development. Albert S. Bolles, a lawyer, served as Wharton's first professor, and the school's Industrial Research Unit was established in 1921. Wharton professor Simon Kuznets, who later won the Nobel Prize in Economics, created statistical data on national output, prices, investment, and capital stock, and also measured seasonability, cycles, and secular trends of these phenomena. His work laid out what became the standard procedure for measuring the gross national product and the gross domestic product, and he later led an international effort to establish the same statistical information for all national economies. Professor Lawrence Klein, who also won the Nobel Prize in Economics, developed the first econometric model of the U.S. economy, which combined economic theory with mathematics, providing another way to test theories and predict future economic trends. Wharton professor George W. Taylor is credited with founding the academic field of study known as industrial relations. He served in several capacities in the federal government, most notably as a mediator and arbitrator. During his career, Taylor settled more than 2,000 strikes. In 1967, he helped draft the New York State civil service law that legalized collective bargaining in the state but that also banned strikes by public employees—legislation widely known today as the Taylor Law. Wharton professor Wroe Alderson (1898–1965) is widely recognized as the most important marketing theorist of the twentieth century and the "father of modern marketing". Wharton professor Paul Green is considered to be the "father of conjoint analysis" for his discovery of the statistical tool for quantification of market research. Wharton professor Solomon S. Huebner is known widely as "the father of insurance education." He originated the concept of "human life value", which became a standard method of calculating insurance value and need. He established the goal of professionalism in the field of insurance, developed the first collegiate level program in insurance and chaired the Department of Insurance at Wharton, and contributed greatly to the progress of adult education in this area. Wharton professor Daniel M. McGill was widely regarded as the "dean of the pension industry", whose research contributed to shaping the modern retirement system both in the public and corporate sectors. In 1946, after ENIAC was created at Penn, Wharton created the first multidisciplinary programs in technology management with the School of Engineering and Applied Science. Wharton faculty began to work closely with AT&T, Merrill Lynch, MasterCard, Prudential Insurance and the New York Stock Exchange in analyzing the strategic and commercial implications of information systems. The Wharton School's first business professor was an attorney, Albert Bolles. At the time, there were no other business schools and no business professors could be recruited elsewhere. Bolles, a lawyer by education and training, and business journalist by career, seemed to be the best option for Joseph Wharton. Bolles started his career as a lawyer in Connecticut in the second half of the 19th century. After resigning from his law firm, he started pursuing a new career in business journalism and was promoted to the editor role of Bankers Magazine, a trade publication, in 1880. Upon joining the Wharton School, he began teaching business with classes on the law of governing finance and on the processes of commercial banking. Bolles' instruction in finance was influenced by his previous experience in Bankers Magazine: he stressed conservative business practices, drawing on business history as much as he could. In his classes, inflationist Congressmen were "self-interested debtors". Besides teaching, Bolles advocated for several national reforms, including the uniform banking law. 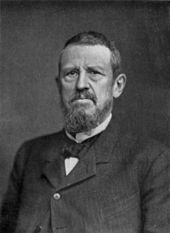 Wharton historian Steven A. Sass wrote about him, "Bolles thus fulfilled Joseph Wharton's pedagogic expectations and…got the new school off to a respectable start by the spring of 1883". In 1884, the first five business students were awarded a Bachelor of Finance degree. One graduate, Shiro Shiba, returned to Japan where he would become a member of the Diet, the Japanese parliament, and another, Robert Adams, Jr., later was named U.S. Ambassador to Brazil. Classes in business and finance abounded at the Wharton School, but it was lacking in any other areas of business interest. Edmund J. James, with a doctorate from the University of Halle in Germany, reinvigorated the school's curriculum, starting classes on political finance and administration. Later in 1885, James argued for redesigning the course of study at Wharton with elements of German higher education. He wanted to include training in banking, railroading, merchandising, manufacturing and other similar branches, and expand the course's length to four years from the initial three. Joseph Wharton in November 1893 pledged an additional $75,000 to the school in order to implement James' ideas in the school's curriculum. A more comprehensive study plan was then rolled out. Between 1895 and 1915, James started teaching at Wharton the new fields of finance and management as they were developing in the business world. The Wharton School improved its reputation from a bunch of academic "misfits", and some of its alumni rose in the U.S. business world. During this period, the school continued to attract additional faculty members and expand its research programs. Wharton began awarding MBA degrees in 1921. In 1942, during World War II, in the same fashion of other schools, Wharton's full-time faculty dropped dramatically from 165 to 39 by 1944. According to school historians, members of the faculty were called upon for special posts. In 1959, Wharton adopted the curriculum that is now taught in most major business schools: the program was changed with liberal arts education doubling to almost half of the curriculum, and the social sciences department was moved to the University of Pennsylvania School of Arts and Sciences in 1975. Since then, Wharton faculty have focused exclusively on business education. Official historical names of the institution include the Wharton School of Finance and Economy, from 1881 to 1901, and the Wharton School of Finance and Commerce, from 1902 to 1971. The Philadelphia campus of the Wharton School has four primary buildings, Jon M. Huntsman Hall, Steinberg Hall-Dietrich Hall, Vance Hall and Lauder-Fischer Hall. In addition, the Steinberg Conference Center houses the Aresty Institute of Executive Education. Jon M. Huntsman Hall is the Wharton School's main building. The building is a 324,000 square foot structure with 48 seminar and lecture halls, 57 group study rooms and several auditoriums and conference rooms. It was constructed through a donation from Wharton alumnus Jon M. Huntsman. It also has a 4,000 square foot forum, as well as a colloquium space on the top floor. Steinberg Hall-Dietrich Hall is a joint 180,000 square foot structure comprising two adjacent halls. It was built in 1952 and expanded in 1983 through a donation from Wharton alumnus Saul Steinberg, and houses the offices of several academic departments at the Wharton School. It also contains lecture halls, conference rooms and common areas for faculty and students. Vance Hall is a 107,000 square foot structure built in 1972 to house Wharton's graduate programs, administrative offices, lecture halls and meeting areas. Lauder-Fischer Hall houses the Joseph H. Lauder Institute for Management and International Studies, and focuses mainly on international business teaching and research initiatives. The Lauder Institute was founded in 1983 by Wharton alumni Leonard Lauder and Ronald Lauder. In 2014, the Wharton School launched the Student Life Space in Philadelphia's central business district. It is a 20,000 square foot space with conference rooms, meeting rooms and over 20 group study rooms. It also serves as an incubator space for startup companies. In 2018, it was announced that a new 70,000 square foot campus building for student entrepreneurship would be constructed, following a $25 million donation from hedge fund manger and philanthropist Nicolai Tangen. The building will be located at 40th and Sansom Streets, and is set to be completed by 2020. In 2001, Wharton launched a new campus in San Francisco, California. The San Francisco campus serves as a hub on the west coast for its students and alumni. As of 2012, the campus is open to executive MBA students and to full-time MBA students, who can decide to spend the spring semester of first year, or fall or spring semesters of second year of the MBA program in San Francisco in the Semester in San Francisco Program. For the full-time MBAs, the Semester in San Francisco Program focuses on entrepreneurship, technology, and venture capital. Prospective Wharton candidates apply in their senior year of high school either through the early decision (ED) process or regular decision (RD) process. Unlike many other undergraduate business programs where students transfer in after their freshman or second year (University of Virginia's McIntire, Emory's Goizueta, UC Berkeley's Haas), Wharton applicants apply specifically for Wharton during their senior year of high school. These candidates are then grouped with a pool of applicants separate from those applying to University of Pennsylvania's College of Arts and Sciences (CAS), School of Engineering and Applied Science (SEAS), or School of Nursing. Each of the other three schools forms its own separate pools of applicants too. The legacy status of applicants, defined as having a parent or another direct relative who attended the same academic institution, may be taken into consideration in the admissions process. This correlation has been observed in a number of empirical studies conducted on the nation's most elite schools, with a particular focus on Ivy League universities. Leading universities in the United States cite stronger alumni connections and continued support as the primary reasons for this practice. Wharton undergraduate students are required to graduate with at least 1 of 21 current concentrations. Subjects range from finance and accounting to unique studies such as business analytics and Social Impact & Responsibility. Obtaining a concentration requires a student to take 4 classes outside of what is required in the core curriculum. Policy has recently changed such that Wharton students can graduate with a maximum of 2 concentrations rather than 3. In the 2015–16 school year, 334 employers participated in the on-campus recruiting process; each student received an average of 7.6 first-round interviews and 1.8 job offers. About 48% of Wharton's typical undergraduate class of 650 students go into financial services, with the top sectors being investment banking, investment management, and private equity. The next most common industry after finance is management consulting, which hires approximately 22% of the students, while a significant number of students enter marketing, sales, and the technology industry, particularly in Silicon Valley. For the Class of 2016, Wharton undergraduate students reported an average expected first-year compensation of $116,676, including an average starting base salary of $77,566, an average signing bonus of $10,493, and an average projected annual bonus of $28,617. The school offers two paths, an MBA for full-time students and an MBA for executives. Students can elect to pursue double majors or individualized majors. During their first year, all students pursue a required core curriculum that covers traditional management disciplines—finance, marketing, statistics, and strategy—as well as the leadership, ethics, and communication skills needed at senior levels of management. Students pick electives in the second year. Wharton MBA students may pursue a dual degree with the Lauder Institute, Johns Hopkins University's Paul H. Nitze School of Advanced International Studies (SAIS), the John F. Kennedy School of Government at Harvard University, or with one of the graduate schools at the University of Pennsylvania. MBA students from the Class of 2016 earn an average first-year salary and guaranteed compensation of $145,400. The MBA program annually receives around 7000 applications for the 850 places in the class. Wharton co-sponsored the Executive Master's in Technology Management Program (EMTM) with the University of Pennsylvania School of Engineering and Applied Science. Graduates received a master of science in engineering (MSE) in the management of technology from the School of Engineering and Applied Science. The EMTM Program ended in August 2014. Wharton is also part of the Wharton-INSEAD Alliance. MBA students from each program can spend one period of study at the partner school, allowing Wharton students access to the INSEAD campuses in both Fontainebleau and Singapore. Wharton offers doctor of philosophy degrees in finance, applied economics, management and other business fields (as opposed to some schools, which grant DBAs). It takes approximately four to six years to complete the doctoral program. The Wharton School also operates the Aresty Institute of Executive Education (commonly known as "Wharton Executive Education"), a center for continuing business education for senior executives. The institute is named in honor of civic leader, business owner, philanthropist, and Wharton alumnus Julian Aresty and his brother Joseph Aresty, who together endowed the Aresty Institute for Executive Education in 1987. Wharton Executive Education offers programs for executives in areas such as finance, marketing, strategy, and innovation. Each year, more than 10,000 professionals from around the world attend Wharton Executive Education programs in classes taught by full-time Wharton faculty. Wharton offers more than 50 open-enrollment programs for individuals on campuses in Philadelphia, San Francisco, and Beijing, China. Wharton also overs three long duration open-enrollment programs that confer alumni status upon successful completion. These programs are the Advanced Finance Program, Advanced Management Program, and the General Management Program. In addition to a large portfolio of open-enrollment programs for individuals, Wharton Executive Education also offers customized programs for organizations. Custom program topic areas include Finance & Value Creation, Leadership Development, Marketing & Sales, and Strategy & Innovation. Industry areas of expertise include Consumer Products, Retail, Energy, Transportation, Financial Services, Health Care, Pharmaceuticals, Manufacturing & Industrials, Professional Services, Technology & Communications. Through its online division, Wharton offers massive open online courses on Coursera with specializations in business and financial modeling, business analytics, entrepreneurship, and business foundations. For executives who wish to focus their learning in key areas, Wharton Online offers the Leadership and Management Certificate and the Business Analytics Certificate. On December 5, 2003, Wharton enacted a policy of declining to actively participate in the rankings of business school programs, citing student privacy concerns and the methodologies employed. Wharton is widely regarded as one of the world's top institutions for business education. In 2014–2015, as well as 2017–2018, U.S. News & World Report ranked Wharton's undergraduate program first in the U.S., MBA program tied for first in the U.S., and executive MBA program also first,. The undergraduate program at the Wharton School has been ranked number one by U.S. News & World Report every single year since inception. The Financial Times has ranked the Wharton School first in the world in every single year between 2000 and 2009, and again in 2011, conferring Wharton with the best overall performance in the rankings. The Wharton School has also been ranked number one by Bloomberg Businessweek four times in a row. Wharton is well known for its standing in finance education. The school has been listed first on the U.S. News & World Report's "Best Finance Programs" list each consecutive year from its commencement. Similarly, Wharton has maintained its top position in the finance specialization rankings of the QS Global 200 Business Schools Report 2013/14, prompting QS to declare that "Wharton reigns supreme in finance, topping the table again". The New York Times has deemed Wharton's undergraduate population as "the closest thing that exists to a Wall Street farm team", while Poets & Quants has described Wharton as offering the "single best degree" for an education and career in finance, marked by an "intense, competitive culture" within the student body. 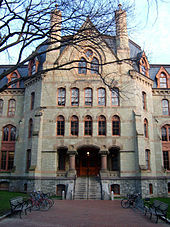 Wharton also receives high reputation scores from academics and recruiters each year. The Wharton School has been ranked first for its Executive MBA Program in 2011, 2012, and 2013 by Poets & Quants, in an integrated ranking system that takes into account data provided by U.S. News & World Report, Bloomberg BusinessWeek, the Wall Street Journal, and the Financial Times. Based on publications in 24 of the world's leading peer-reviewed journals, Wharton holds the top position in research productivity among business schools, and a report by Indiana University indicated that the Wharton School has held the top rank in research productivity each year since 1986, when compilation of this information first commenced. The Wharton School adheres to grading curves and is known for its competitive culture, its students receiving the highest aggregate competitiveness index score in the Princeton Review's study of 295 business schools. In order to promote a more collaborative atmosphere, the Wharton Graduate Association maintains and annually reaffirms a grade non-disclosure policy, consisting of two main principles. The first is to "refrain from disclosing GPAs, specific class grades, class ranking, or transcripts to potential employers until a full-time position has been offered". The second principle permits and encourages students to disclose general academic honors and distinctions. All employers adhere to this policy throughout the recruitment process at the Wharton School. The Wharton School has over 100 active student clubs. Wharton students also organize 19 business conferences each year. The Wharton alumni network currently has more than 92,000 members in 80 regional clubs worldwide. In addition to the annual Wharton reunion held on campus, Wharton partners with its alumni clubs to organize multiple Global Alumni Forums each year. Wharton has more than 240 faculty members, of which several are distinguished experts in their fields. ^ Bonsoms, Daniel J. (April 4, 2016). "America's Wealthiest Business Schools". p. 3. ^ "Management Department – Geoffrey Garrett". Retrieved July 20, 2014. ^ "About Wharton". The Wharton School, University of Pennsylvania. Retrieved March 22, 2018. ^ a b c d e f "Wharton School: Facts and Figures". The Wharton School, University of Pennsylvania. Retrieved October 27, 2016. ^ "These schools produced the most billionaires". CNBC. October 17, 2017. ^ "Here's Why UPenn Produces More Billionaires Than Any Other School In The World". Business Insider. ^ "The 10 Schools That Produce The Most Forbes 400 Billionaires". FORBES. ^ a b "Wharton Doctoral Programs – Programs of Study". Wharton School of the University of Pennsylvania – Doctoral Inside. Wharton School, University of Pennsylvania. Retrieved February 10, 2015. ^ a b "Best Business Schools". U.S. News & World Report. March 13, 2017. ^ a b "Best Undergraduate Business Programs". U.S. News & World Report. 2017. ^ "Best Executive MBA Programs". ^ Byrne, John A. (August 13, 2018). "2017 MBA Pay: Overall and Base Pay (2018)". Poets&Quants. Retrieved August 13, 2018. ^ "U.S. News Top Business Schools". Archived from the original on March 15, 2017. ^ "An Early Look at the Latest GMAT Scores – Page 2 of 2". September 20, 2017. ^ Kowarski, Ilana (March 21, 2017). "Map: Where Fortune 100 CEOs Earned MBAs". U.S. News & World Report. Retrieved March 22, 2018. ^ Kim, Eugene. "Meet New Oracle Co-CEO Safra Catz, The Highest-Paid Female Executive In The World". Business Insider. ^ a b c d Daniel A. Wren; David D. Van Fleet. "History in Schools of Business" (PDF). Archived from the original (PDF) on March 12, 2014. Retrieved March 3, 2016. ^ "Wharton School of Business: A Brief History". Penn University Archives & Records Center. Retrieved March 22, 2018. ^ Kaplan, Andreas M (2014). "European Management and European Business Schools: Insights from the History of Business Schools". European Management Journal. 32 (4): 529–534. doi:10.1016/j.emj.2014.03.006. ^ Yates, Willard Ross (1987). Joseph Wharton: Quaker industrial ... – Google Books. ISBN 9780934223003. Retrieved August 9, 2010. ^ "About Wharton—Wharton History". Retrieved October 5, 2014. ^ a b "Wharton: A Century of Leadership". Wharton.upenn.edu. Retrieved October 4, 2012. ^ "Wharton: Archival Collections". University of Pennsylvania. October 4, 2014. ^ "Wharton: A Century of Innovation". Wharton School. Retrieved January 3, 2014. ^ a b "Wharton: From Boom to Bust to Boom". Wharton School. Retrieved January 3, 2014. ^ Shils, "George W. Taylor: Industrial Peacemaker," Monthly Labor Review, December 1995. ^ "George W. Taylor Dies at 71," The New York Times, December 17, 1972. ^ Donovan, Administering the Taylor Law: Public Employee Relations in New York, 1990. ^ Jones, D.G.B. and Shaw, E.H., (2003) A History of Marketing Thought, in the Handbook of Marketing, ed. Wertz, B. and Wensley, R.
^ Shaw, Eric H.; Lazer, William; Stephen, F. Pirog III (2007). "Wroe Alderson: father of modern marketing". European Business Review. 19 (6): 440–451. doi:10.1108/09555340710830091. ^ "Wroe Alderson: A Giant of Marketing Theory". Wharton School. August 16, 2007. ^ "Paul Green: Father of Conjoint Analysis". Wharton School. August 16, 2007. ^ "Solomon S. Huebner: Father of Insurance Education". Wharton School. August 16, 2007. Archived from the original on October 2, 2014. ^ "Dan McGill, Undisputed Dean of Pension Industry, Dies". Pensions & Investments. March 18, 2013. ^ "Daniel M. McGill: Paved the Way for Pension Reform". Wharton School. August 16, 2007. ^ a b "Wharton: From ENIAC to Emerging Technology". Wharton School. Retrieved January 3, 2014. ^ a b "History: School of the Wharton School of Business, University of Pennsylvania University Archives". Archives.upenn.edu. Retrieved October 4, 2012. ^ "About Wharton: Past Leaders". Wharton School. Retrieved January 1, 2014. ^ "Wharton: A Century of Leadership". Wharton.upenn.edu. Retrieved October 4, 2012. ^ "Wharton History and Innovations in Business". Wharton School of the University of Pennsylvania. Wharton School, University of Pennsylvania. August 16, 2005. ^ "Wharton School: Philadelphia Campus". Wharton.upenn.edu. 2010. ^ "Steinberg Conference Center". Wharton.upenn.edu. 2010. ^ "JON M. HUNTSMAN HALL". The Wharton School of the University of Pennsylvania. Retrieved March 24, 2015. ^ "Steinberg Hall-Dietrich Hall" (PDF). Wharton.upenn.edu. 2010. ^ "Vance Hall". Wharton.upenn.edu. 2010. ^ "The Lauder Institute". Wharton.upenn.edu. 2010. ^ "Wharton School: 2401 Walnut". Wharton.upenn.edu. 2010. ^ "Philadelphia Campus: 2401 Walnut Student Life Space". Wharton.upenn.edu. 2010. ^ "Wharton School receives $25 million gift from Nicolai Tangen and AKO Foundation". Penn Today. Retrieved March 4, 2019. ^ "Wharton San Francisco | New Campus 2012". Wharton.upenn.edu. Retrieved October 4, 2012. ^ "Wharton Undergrad at the University of Pennsylvania". Wharton.upenn.edu. Retrieved March 3, 2016. ^ "Concentrations". Undergraduate. Retrieved April 4, 2019. ^ "Curriculum". Undergrad Inside. Retrieved April 4, 2019. ^ a b c d "Wharton Undergraduate Class of 2016: Career Plans Survey Report" (PDF). University of Pennsylvania Career Services. Retrieved March 14, 2017. ^ "Wharton eMBA: Compare Wharton's Executive MBA & Full MBA Education". Wharton.upenn.edu. Retrieved August 9, 2010. ^ "Core: Curriculum: MBA Resource Guide – The Wharton School of the University of Pennsylvania". Wharton.upenn.edu. July 13, 2009. Retrieved August 9, 2010. ^ "Course Index: MBA Resource Guide – The Wharton School of the University of Pennsylvania". Wharton.upenn.edu. July 17, 2009. Retrieved August 9, 2010. ^ "Full-Time – MBA Career Management – Career Statistics". The Wharton School, University of Pennsylvania. ^ "EMTM Admissions Announcement". EMTM Admissions. Retrieved January 1, 2014. ^ "Wharton-INSEAD Alliance – The Wharton School of the University of Pennsylvania". Wharton-INSEAD Alliance. ^ "Campus News Briefs". The Daily Pennsylvanian. Retrieved July 5, 2018. ^ "Wharton Online Learning". Wharton School of the University of Pennsylvania. Retrieved February 3, 2017. ^ "Why Harvard And Wharton Are Wrong". Bloomberg BusinessWeek. Bloomberg LP. April 19, 2004. ^ Di Meglio, Francesca (September 29, 2005). "Why Wharton and Harvard Are Missing". Bloomberg BusinessWeek. Bloomberg LP. Retrieved October 4, 2012. ^ "Financial Times: Business School News". Retrieved January 1, 2014. ^ "Trieschmann, J. S., Dennis, A. R., Northcraft, G. B., and Niemi, A. W. "Serving Multiple Constituencies in the Business School: MBA Program versus Research Performance"". Academy of Management: Supplement Table 1 to Research Study. Academy of Management Journal. Retrieved November 26, 2013. ^ "Clubs | The Wharton MBA Program". Wharton.upenn.edu. March 17, 2012. Retrieved March 3, 2016. ^ "Alumni Network | The Wharton MBA Program". Wharton.upenn.edu. Retrieved October 4, 2012. ^ "Wharton Faculty Directory". The Wharton School. Retrieved March 9, 2019. ^ "In the Battle for Academic Firepower, Another Big Gift to Recruit Superstar Faculty". Inside Philanthropy. Retrieved March 9, 2019. Steven A. Sass, Pragmatic Imagination: A History of the Wharton School, University of Pennsylvania Press, 1983.